SERVICE CO has 24 HOUR EMERGENCY flood equipment rental, water damage equipment rental, commercial dehumidifier rental, desiccant dehumidifier rental, carpet drying equipment rental, air blower rental, drying fan rental, air scrubber rental and generator rental service. Call ANYTIME to rent a dehumidifier or air mover fan. SERVICE CO offers 24/7 delivery service anywhere to dehumidifying equipment rental customers. 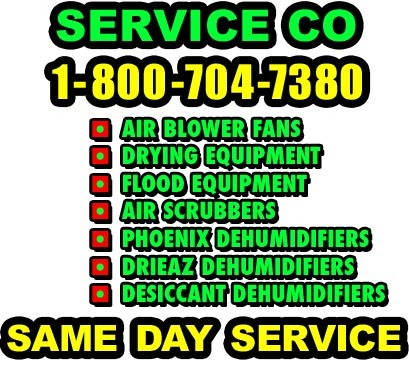 SERVICE CO is also available to perform the actual drying & dehumidifying service. 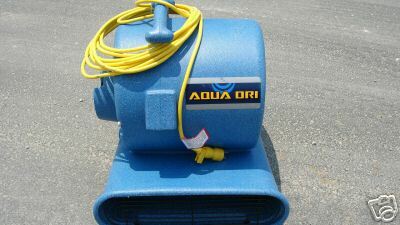 For DRYING EQUIPMENT RENTAL, DEHUMIDIFYING EQUIPMENT RENTAL or a FREE ESTIMATE CALL 1-800-704-7380.